WINONA, Minn. — Jazz students at Saint Mary’s University will swing into the holidays with their Red Bird Club show “Christmas in New Orleans” on Friday, Dec. 7, at 7:30 p.m. at the Valéncia Arts Center, 1164 W. Howard St. 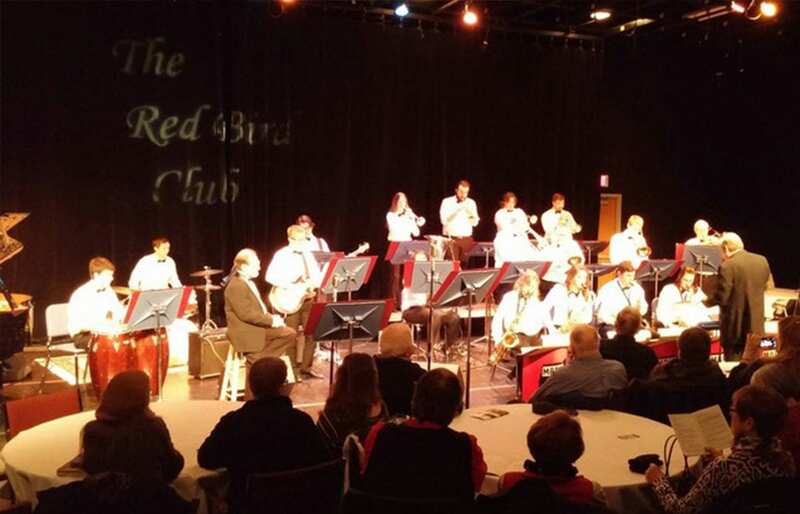 The Red Bird Club opened its doors in 2014 at the Valéncia Arts Center. If you have never heard of it, it may be because the doors only open once every two years. Every other December, the Academy Theater is transformed into an American Jazz Cabaret, showcasing the talents of Saint Mary’s University student musicians. This year the Red Bird Club will take a trip to New Orleans, the birthplace of jazz. “Christmas in New Orleans” will feature a quartet of crooners, an emcee, beer and wine service, and new this year — a dance floor. Make your reservations today or you’ll have to wait until their next performance in 2020. For more information, contact Director of Jazz Studies A. Eric Heukeshoven at 507-457-7292 or eheukesh@smumn.edu. Tickets are $10 for adults, $5 for students and seniors and are available at pagetheatre.org or by calling the Page Theatre Box Office at 507-457-1715.